James D. Ray is a partner with the law firm of McElroy, Deutsch, Mulvaney & Carpenter, LLP. His principal areas of practice include environmental, safety & health law and commercial real estate transactions. Jim represents and counsels clients in a wide range of environmental and safety and health issues and in the remediation and purchase, sale and leasing of environmentally constrained real estate. He formerly held the position of Environmental Counsel and Director of Real Estate and Environmental, Safety & Health Affairs for Ingersoll-Rand Company. Jim received a Bachelor of Science from Delaware Valley College of Science & Agriculture and a Master of Science in Environmental Science from Rutgers University. In 1984, he graduated, with honors, from Seton Hall University School of Law where he served as Articles Editor for the Law Review. He clerked for the Hon. 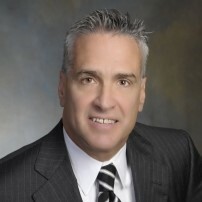 James J. Petrella, New Jersey Superior Court, Appellate Division. Jim is admitted to the New Jersey Bar. Jim is a Certified Commercial Investment Member, a designation offered by the Commercial Investment Real Estate Institute. Committees/Activities: Environmental, Corporate and Real Estate sections of the NJ State Bar Association; Environmental Committee of the NJ State Chamber of Commerce; Environmental Committee of the Commerce and Industry Association of NJ; NJ Industrial Safety Committee; NJ OSHA and Business Communication Alliance. Jim is a frequent lecturer on environmental and real estate development topics.